Donnie Boyd, Highway Maintenance Worker from Mission, repaints the center stripe on Highway 83 in Todd County after crews completed an asphalt patching project. Storm clouds threatened, but didn’t stop these dedicated workers from getting the job done! 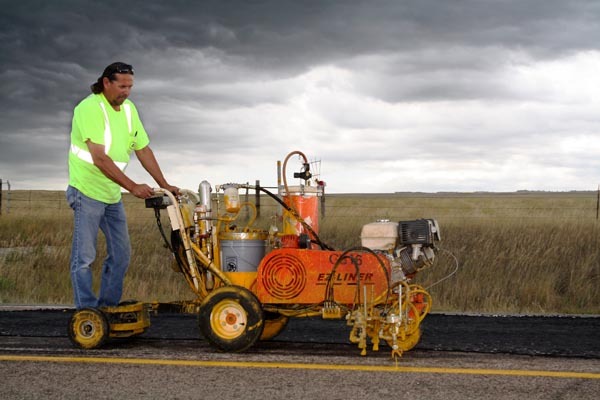 Applying a chip seal to Highway 53 in Lyman Co. are SDDOT employees Rod Lillebo, riding the chip spreader; Gary Hovey, operating the oil distributor; and Todd Hanson and Tim Huffman watching to make sure the oil and sand are being dispensed and distributed properly. 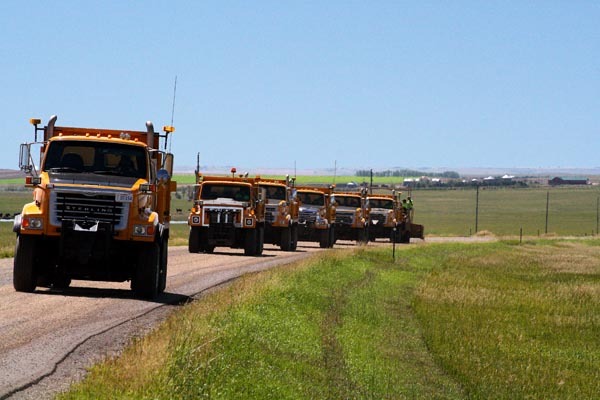 South Dakota Department of Transportation maintenance crews from the Winner Area participate in chip seal training on Highway 53 in rural Lyman County located in southeast South Dakota. 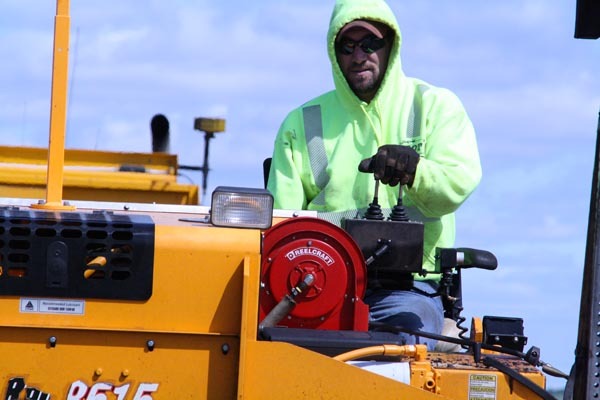 Loren Haynes, Highway Maintenance Worker from Martin shovels asphalt behind the paving machine as the crew works to repair highways in south central South Dakota. 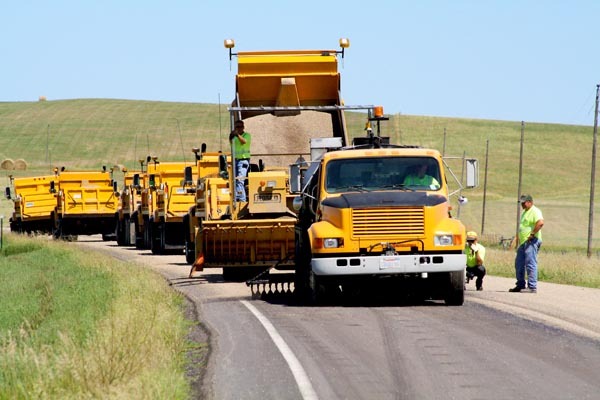 Asphalt patching is essential for not only the safety of the traveling public, but also extends the usable life of the pavement. 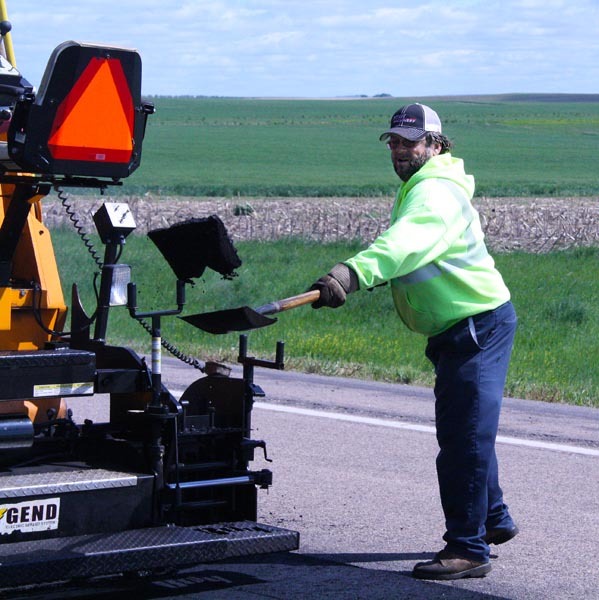 Matt Vobr, Highway Maintenance Worker from Winner, operates the asphaltite machine on Highway 183 in Tripp County as part of the South Dakota Department of Transportation’s asphalt patching work. Matt Vobr, Highway Maintenance Worker from the Winner area, isn’t afraid to get wet to get the job done! 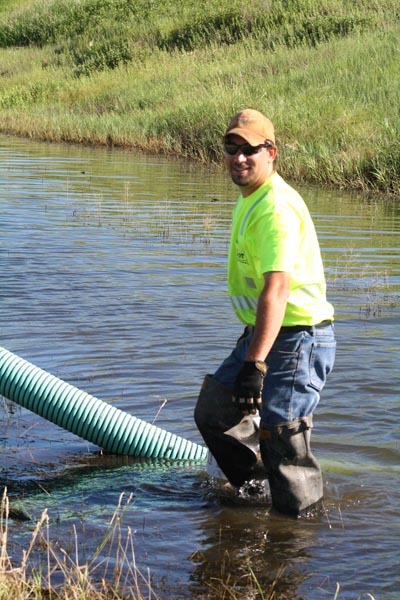 Matt is monitoring a pipe being used to drain a ditch to get to a plugged culvert that was causing flooding on Highway 47 in south central South Dakota.